Gerry Gutierrez, AIA, CDT- Gerry is a registered architect in Massachusetts with a reputation for strong design representation in the field. An even-handed, pragmatic, and engaged representative on the project, Gerry’s strongest contribution is his development of thorough construction documents and their efficient implementation in construction administration. He has worked on several institutional projects over the years including renovation of the William H. Taft Middle School for the City of Boston. 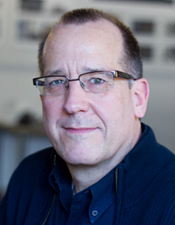 A senior associate at Sasaki with more than 20 years of experience, Gerry is a member of the American Institute of Architects and is the co-chair for the Boston Society of Architects’ Construction Administration Roundtable.